Chromecast: Allowing you to sync your computer’s Hulu and Netflix account to your TV’s TiVo and Roku Plus boxes without the need of HDMI or… Jesus, is this what life has come to? When did things get like this? Why are we doing this to ourselves? Shiny Black: Shiny black was everywhere in the tech world this year, edging out leading technologies like shiny white, shiny silver, matte black, matte white, and matte silver. MakerBot 3D Printer: Allowing users to create three-dimensional versions of virtually any shape right in their own homes, 3D printers were universally recognized as the 12th easiest way for Americans to acquire guns without a license. Jambox: Despite its impressive sound quality and sleek design, many consumers have complained about the fact that this all-in-one speaker is only capable of playing the Rod Stewart album Foolish Behaviour. Room Of Servers: Tech competitors just didn’t have an answer for this giant room filled with 700 servers stacked on top of one another. Single Pixel: Tech users flocked to this single physical point of light capable of displaying red, blue, or green. 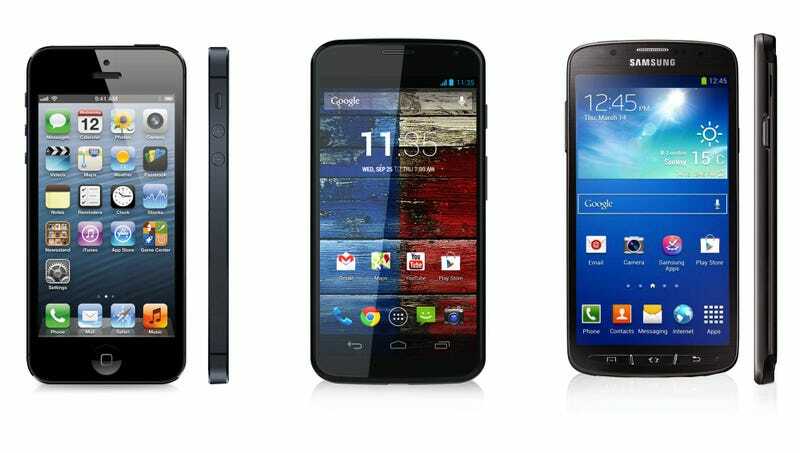 Samsung Galaxy S4, iPhone 5, Moto X: All of these phones allow users to send and receive phone calls. They work fine. ‘Tootsie’ On Blu-Ray: The crisp imagery of this 1983 Oscar winner must be seen to be believed. Like being on set!